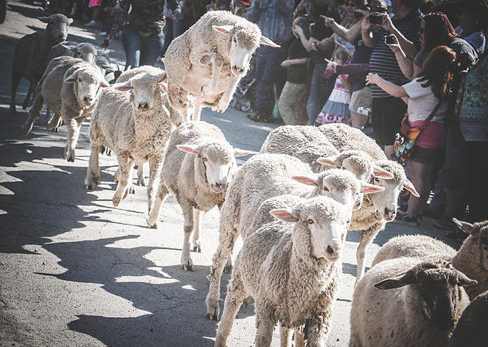 The Reed Point Community Club's annual 'Great Montana Sheep Drive' features hundreds of sturdy Montana bred woolies charging down the six blocks of the main street in an event some say is matched only by the Running of the Bulls in Pamplona, Spain. The event also has a parade including the Shriner's Band, floats, antique cars, covered wagons, horse groups and more. First, Second and Third place prizes are always awarded to parade entrants. Our parade has been written up as 'The World's Largest Small Town Parade'. Let us not forget, during the day there are over 70 vendors lining the main street and a special area of Children's Rides and Petting Zoo. To end the fun filled day, don't miss the evening 'Street Dance' with live music. Photos Courtesy of Christine Bakke Photography.